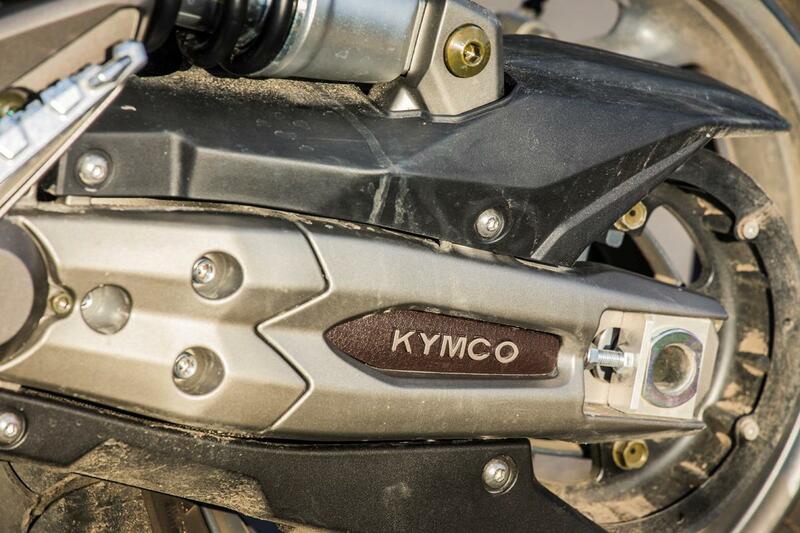 Kymco have stepped up their game with this latest addition to their range. The AK550 is made to a high spec and top quality parts used. 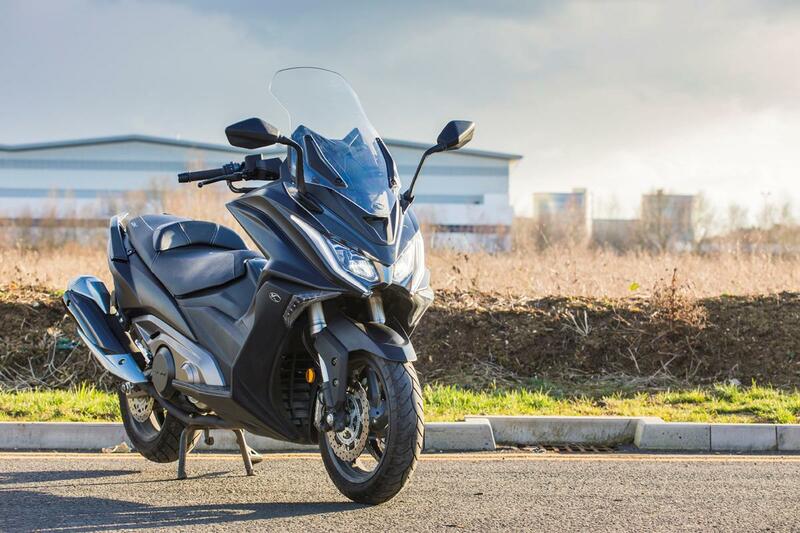 There’s been a lot of effort to match the class leading Yamaha TMAX but with the marque not as well known in the UK and the dealer network as large as Yamaha’s, possibly the price difference could do with being a little larger. It’s spacious and comfortable, with ample room for my 5’10” frame and at 785mm the plush seat is low and inspires confidence, as feet easily drop to the floor when stopping. The narrow, angular, front fairing make it easy to negotiate city traffic, while it offers sufficient protection from the elements as speed increases. The long wheelbase and 15-inch wheels mean it’s stable at speed, while still being maneuverable in traffic. 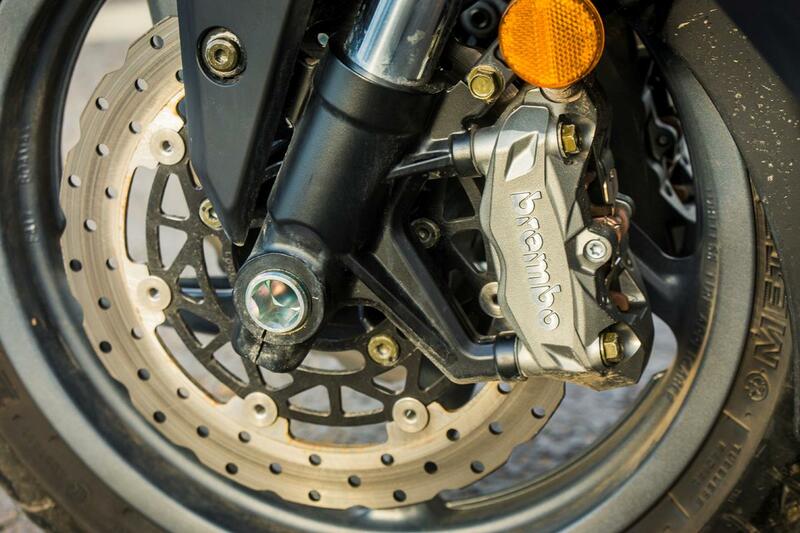 There’s Metzeler Feel Free tyres and the Brembo four-pot radial front calipers are usually the preserve of exotic Italian machines, not a humble maxi-scooter. 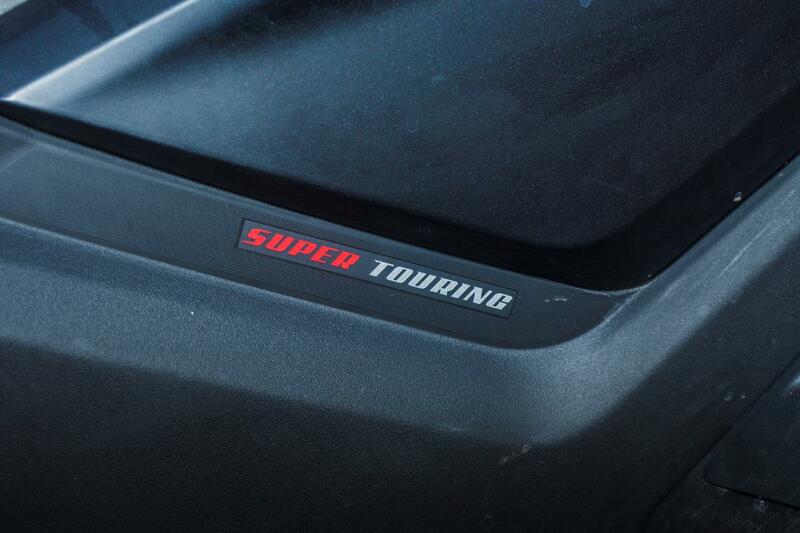 Rider comfort’s been considered, both the screen and the plush seat’s lumber support are manually adjustable. The screen, in particular, is fiddly to alter and once in place you’d be best to leave well alone. 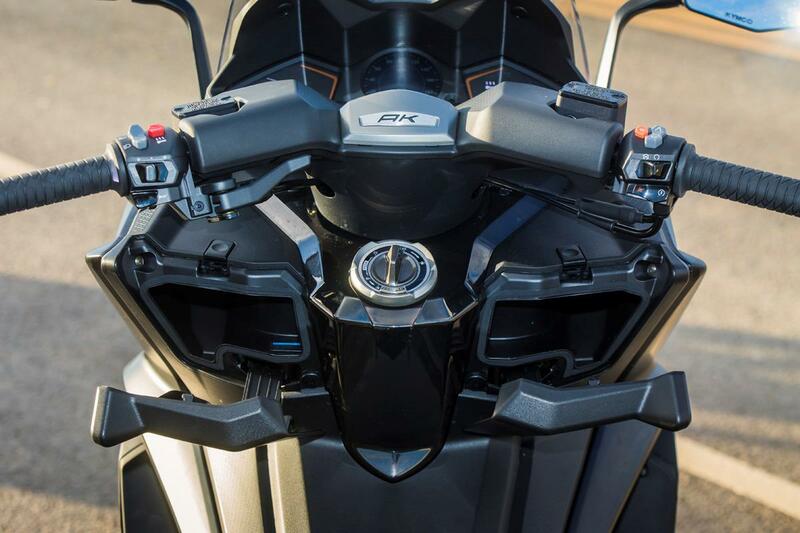 The heated grips, with their three heat settings, actually keep hands warm, which make winter rides more comfortable. It weighs in at a hefty 226kg dry, you can add around 20kg for fuel and liquids, so it’s a heavy beast when pushing it around the garage. The weight disappears once on the move. For changing weather conditions there are two riding modes. Flick to rain mode and it’s a more subdued ride with initial throttle response reduced, traction control’s at it most responsive and there’s a noticeable lag as the 53bhp twin comes to life. 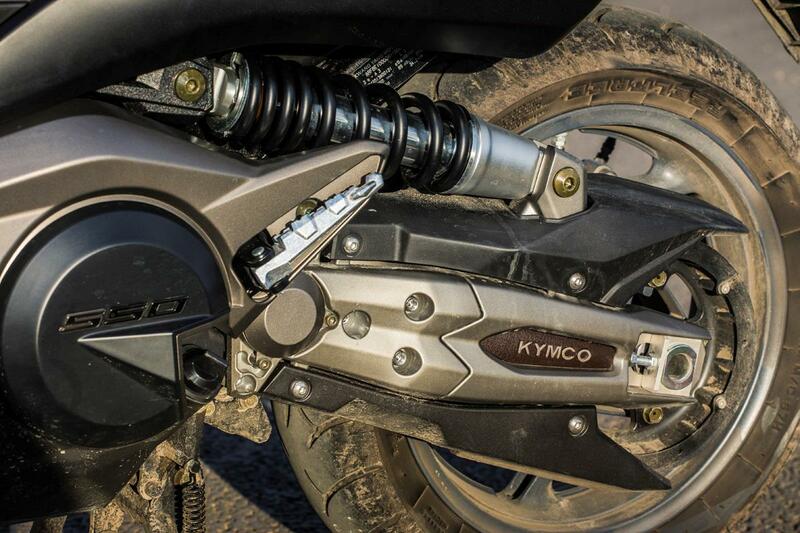 Dry mode is the ‘go to’ mode, with full throttle available it’s more fun to ride. 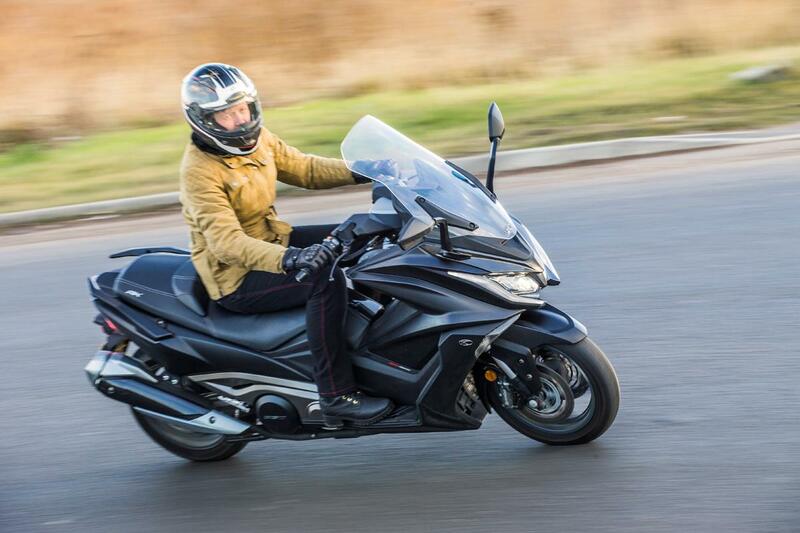 Once on the open road, the AK550 is swift to get to motorway speeds and like other maxi-scoots has enough left to nip through traffic. Taiwanese manufacturer, Kymco, have been building scoots for over half a century. There are few reported issues with other models in their range and we’d expect the high specced AK550 to be no different. 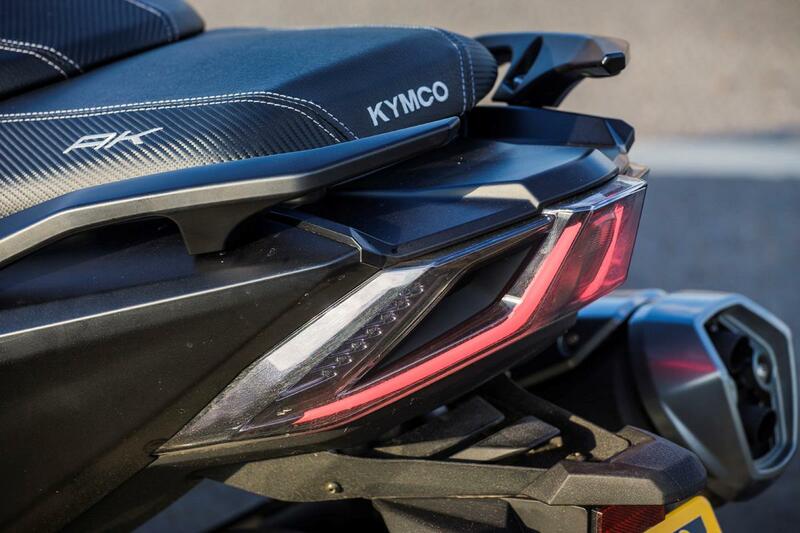 It is a little over priced but to justify the price tag Kymco has used quality parts and there’s extras, such as heated-grips, fitted as standard. Service intervals are the same as others in this maxi-scooter class, 3000 miles for an intermediate service and 6000 miles for a full service. Fuel economy is lower than expected, during our test we averaged 53mpg, which gives a 175 mile range. 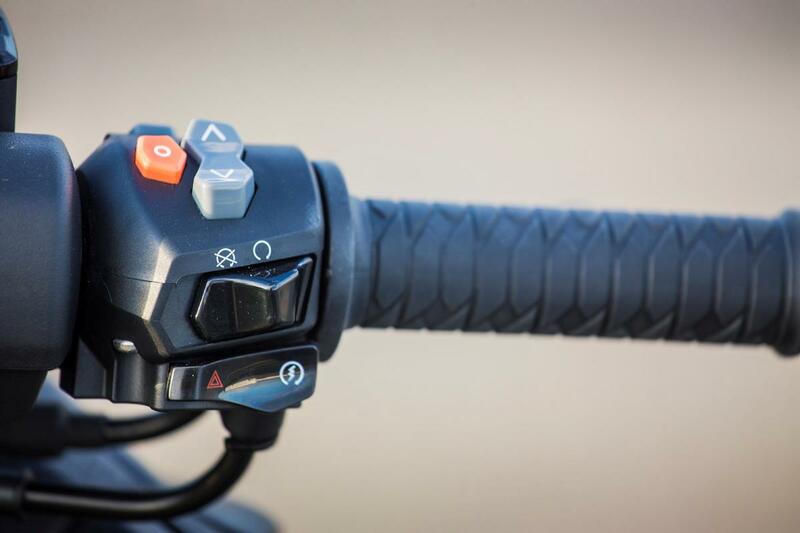 Fitted with Kymco’s unique ‘Noodoe’ technology, the AK550’s LCD dash can be connected, via bluetooth, to your smartphone. It is simple and easy to use. Personalise the dash with your own clock designs and when you turn the scoot on you’ll be greeted with your choice of photo. You can receive text and social media messages, park up and you can keep tabs on your machine’s last location. 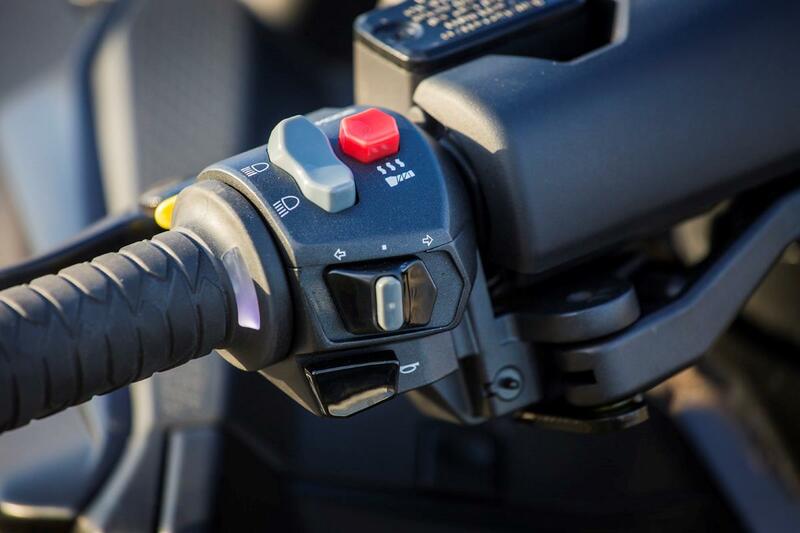 Heated grips come fitted as standard, along with adjustable screen and lumber support. 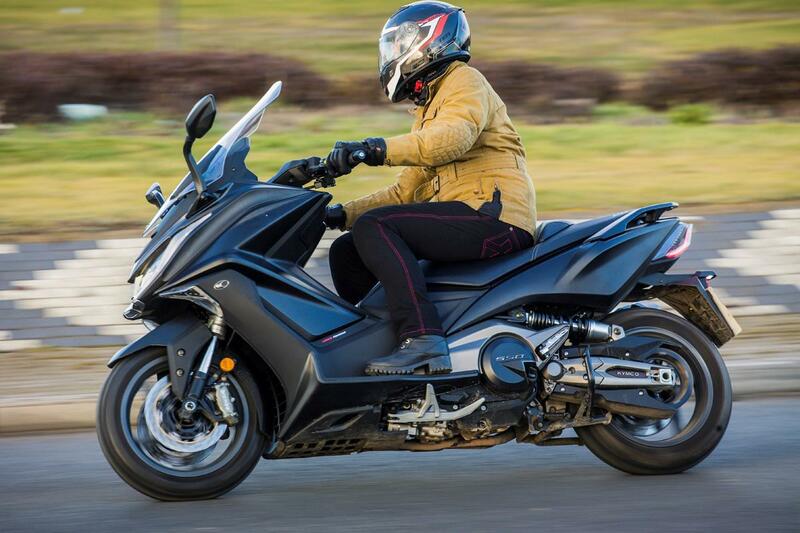 No owners have yet reviewed the KYMCO AK 550 (2018-on).